LeasePlan is one of the world's leading Car-as-a-Service companies, with 1.8 million vehicles under management in over 30 countries. LeasePlan manages the entire vehicle life-cycle for its corporate, SME and private customers, taking care of everything from purchasing, insurance and maintenance to car resale. Their core businesses are Car-as-a-Service, a EUR 68billion market, and CarNext.com, an independent marketplace for flexible used-car mobility solutions, serving a EUR 65billion market. 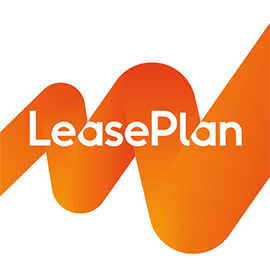 LeasePlan is looking for a .NET Developer in Dublin, Ireland. If you meet the requirements below, you will be eligible to apply via Digital Marketing Community. Design service component driven solutions that can be extended, reused and integrated. Accountable for code changes triggered from technical specs and use cases. Operate daily interrogating data in SQL. Serve with and fully integrate wireframes from design agencies for UI an advantage. Build knowledge management articles and work instructions for the support team. Utilize design best practices for decoupling components especially for integration, client and server side code. Cooperate with customers and team manages estimates for change. Explore new tools for source control and build management. Plan test and release documentation as well as carrying out unit testing and code reviews. Minimum 5 years experience working in a development environment writing C#, MVC. Effective experience in UI/UX development focusing on client-side scripting, HTML, CSS. Expert knowledge of Business Process Management and Workflow would be an advantage. Deep knowledge of source control software such as GIT, SVN. Demonstrated understanding of work with SOA design and integration using web services. Familiarity with Web Services and SOAP/REST essential. Proven track record in database modeling, database design and optimization. IT Professional with a 3rd Level IT qualification or equivalent is preferred. Microsoft Certified Solutions Developer (MCSD) a distinct advantage. Strong UI/UX skills where portfolio can be demonstrated certainly a key advantage. Solid skills loading stronger on the client side. Sound troubleshooting skills needed for the role.